ZF6HP26 & HP28 Bushing Kit from Omega Machine & Tool Inc.
Omega Machine has a bushing kit for the ZF6HP26 and HP28 transmissions. This kit is a master kit that comes with 14 bushings to fit any of the current ZF6HP26-28 transmissions including the Ford 6R60 transmission. The ZF6HP26-28 has several different configurations and this kit fits them all. 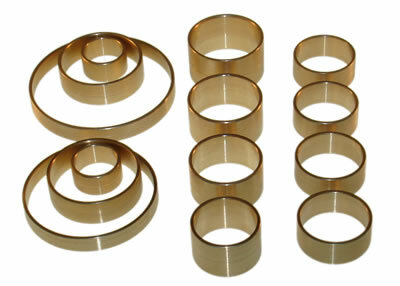 To buy the complete kit or individual bushings, click the "Buy Now" button below. Once you are on the "Buy Now" page you will be able to choose which ones you want.